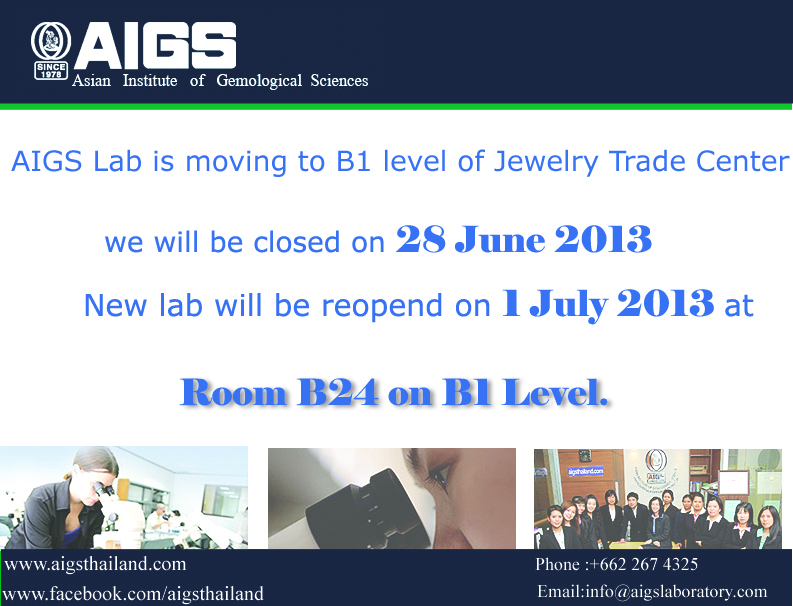 AIGS Lab is moving to B1 level of Jewelry Trade Center. We will be closed on 28 June 2013. Room B24 in B1 Level.